Great haul Gary!, well done! That's an amazing collection. 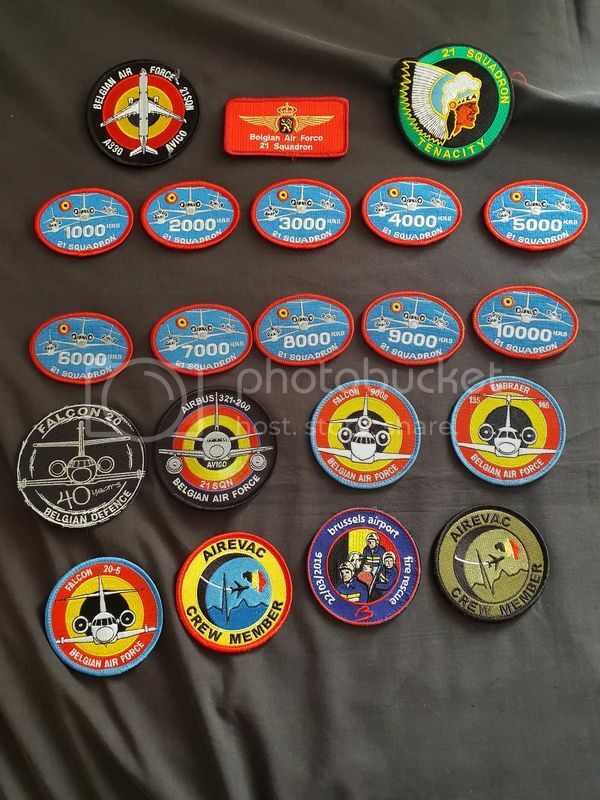 I never saw the A109 team selling on Friday.I really wanted one of the PVC WW1 patches with the howling wolf and the poppies on it . I don't suppose you have a contact where I could get one please. The team sells them via Facebook as well as shows. Thanks dont think they had a stand until Saturday, then set up where the innovations tent was next to the Hellenic stall. The new display patch sold out at the show, if you are on Facebook, speak to the team directly. I bought mine from them a few weeks ago. They do charge €5 shipping, or if you want to want and not going yourself, I'm off to KB I'm September I could get it for you. That is a great haul. And to all the others who have posted also great hauls. 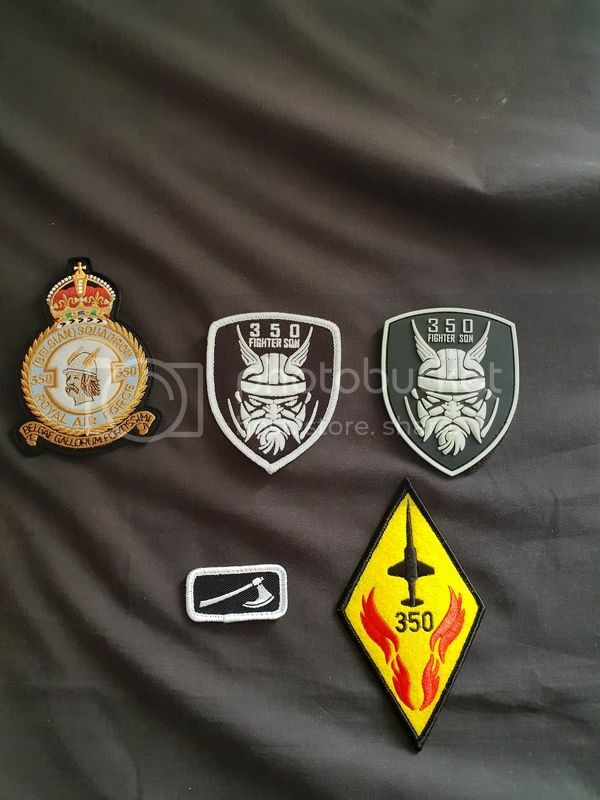 It was a good RIAT for patches and lots to be had. Some good prices and some not so good. I will post my haul soon. Just have to get a Flickr account since photobox isn’t free anymore. Also Gary the Belgian crew chief patches were at Cosford as well. I passed on them this year. Hope to post my haul soon. Good haul all for the show. The BELTAD intel PVC were supposed to be limited!. 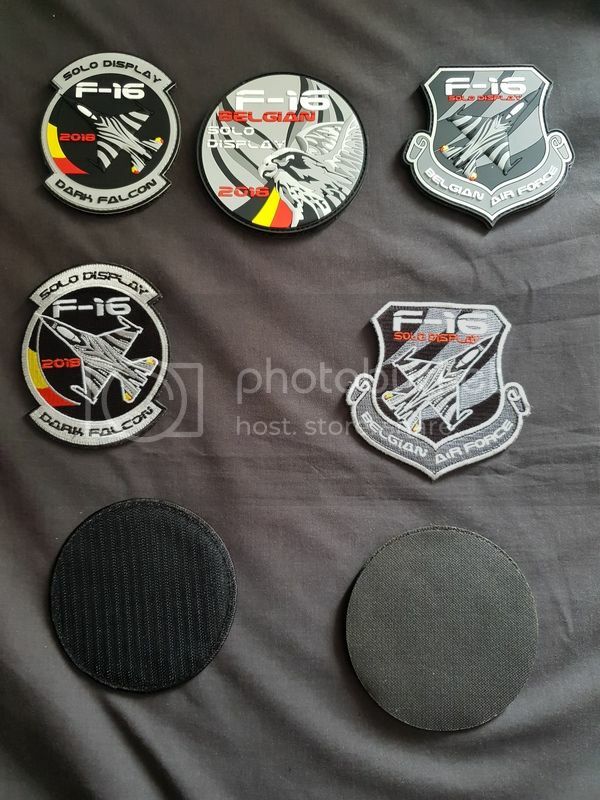 The 21 Sqn PVC patches I think are also supposed to be limited as they were selling 100 sets according to friend. Last edited by ashamim on Tue Sep 11, 2018 3:06 pm, edited 1 time in total. Those Alpha jets ones are nice. 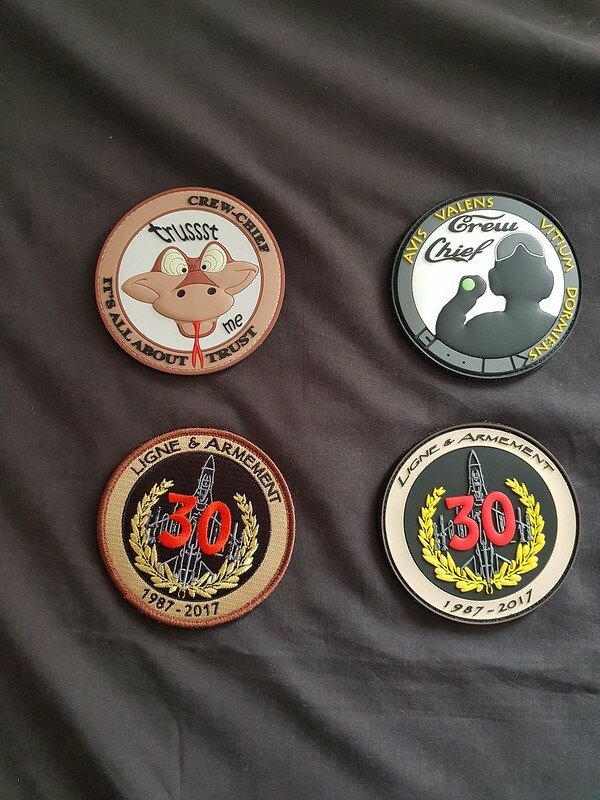 And the 20 Sqn patches as well. I did have a friend get me the cloth Mali one. The Beltad PVC one was sold out by the time he went back but its an intel one so not that bothered. If I had known about the pvc 21 Sqn set I would have asked but oh well. Will have to see if I can hunt some down. Nice haul overall there Gary! 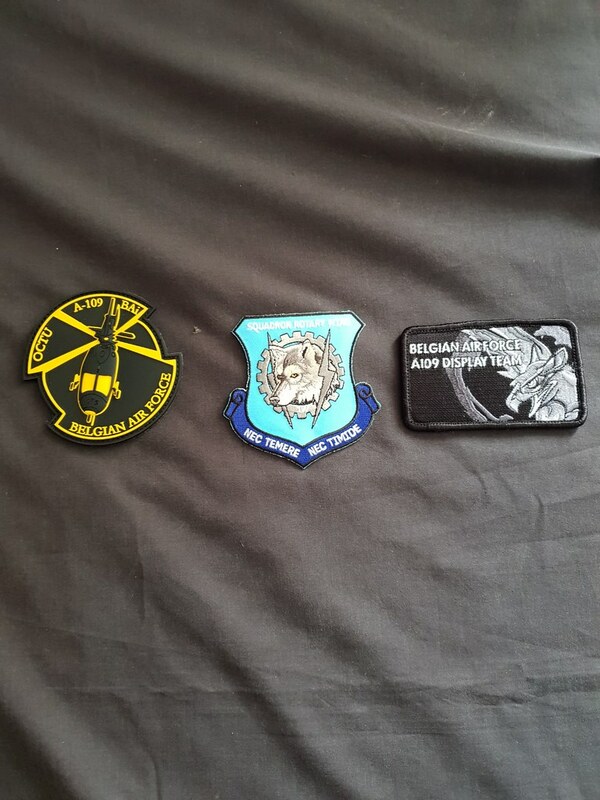 Great selection of patches! Love the PVC ones, especially the 21 Sqn ones and the Farewell Sea King one. Very nice set you got from KB ! What was the Mildenhall Meet like Gary? The 493rdAMU, 493rd FS, 67th SOS,and 56th RQS..Great meeting again, couldn't fault it. I was unable to attend the meeting. Anyone did bring any '493' spares ?